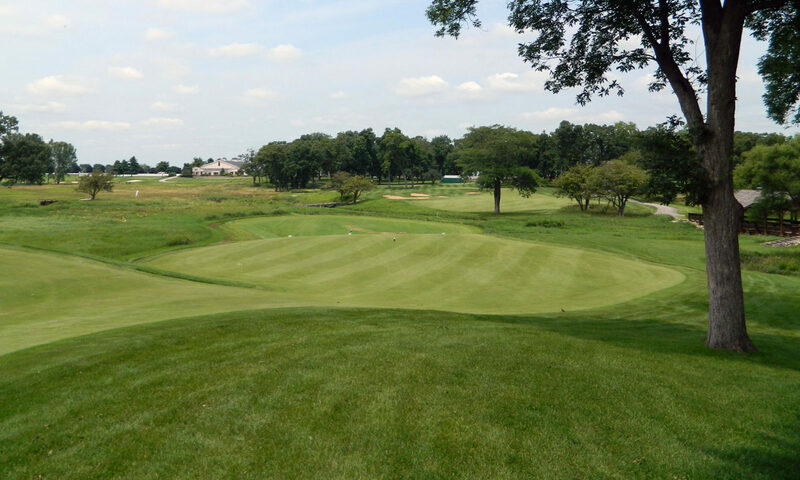 On the PGA TOUR there are four major golf championships and The PLAYERS Championship, which typically is mentioned as a would-be fifth major. The PLAYERS is managed by the PGA TOUR and is contested at TPC Sawgrass in Ponte Vedra Beach, Florida. For golfers who are looking to learn the game of golf or drop strokes from their handicap, the PGA TOUR created the TOURAcademy Home Edition, which is an 8-week golf improvement program presented by PGA instructors that was filmed at TPC Sawgrass, home of The PLAYERS and the PGA TOUR. The TOURAcademy Home Edition features top quality golf video instruction that you can use on your own schedule. The program is hosted by the likable CBS golf analyst Ian Baker-Finch and features instruction from TOURAcademy instructors with highly focused lessons and practice sessions. If you like learning at your own pace, this is a great solution. At $180 or 3 payments of $59.99, the TOURAcademy Home Edition isn’t cheap. However, it does present an incredible amount of materials and information along with the highest possible quality of golf instruction. It also includes free shipping to the USA or Canada and comes with a 60-day no-hassle money back guarantee. The product provides ten DVDs containing 28 lessons and practice sessions that are broken down by ability – white track for all abilities, blue track for advanced golfers. You’ll also receive an 8-week calendar and practice guide, two golf training aids and a 100+ page TOURAcademy® instruction book. TOURAcademy Home Edition does a nice job of adding value for any golfer, from novice to advanced by providing quality structured practice based on skill development and building a golf swing from the ground up. As most golfers know, eight weeks is typically not enough time to learn the game, but this program will do a good job of equipping a player who’s never swung a golf club before with a basic, functioning golf swing. There’s also a lot of great insight into the golf swing that will help even low handicappers. 10: Troubleshooting – Ball Flight Laws, Tips, and More. There’s no such thing as a quick fix in golf, however, there are plenty of products that provide poor quality information that slow progress or even hurt your golf game. The TOURAcademy Home Edition won’t replace Butch Harmon, Sean Foley or your local PGA TOUR professional. But what will do is provide you with a solid resource library of golf tips and instruction that you’ll use for the rest of your life. 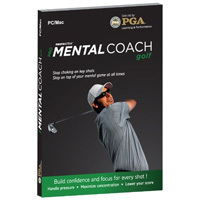 Pro Mental Coach, mental coaching software for golfers, is now available at leading golf retail store Golfsmith. Priced at $139.95, Pro Mental Coach features an assessment test and scientifically-proven games that designed to build the “brain muscle” and help create an “in the zone” state. The software works to help golfers improve their focus, confidence, motivation, stress management, endurance and recovery from bad shots. PC and Mac compatible, Pro Mental Coach is powered by a proprietary Dynamic Intelligence System. This breakthrough neuroscience technology was developed by BCI in collaboration with medical centers. It is used in clinical research funded by National Institutes of Health (NIH). Pro Mental Coach software continuously adjusts exergame difficulty levels in real time according to performance. This personalizes each training session, creating a fully customized regimen to deliver maximum benefits in the shortest period of time. Visit Golfsmith or www.ProMentalCoach.com for more information. If golf is 90% mental, isn’t it time you started working with a mental coach like the PGA professionals use? If noted sports psychologist Bob Rotella is out of your price range, there might be a more affordable answer. Pro Mental Coach is the program created for golfers of all skill levels to help them play better, enjoy the game better, and manage tough times better. Pro Mental Coach can be downloaded to your computer for $139.95 and is powered by Dynamic Intelligence, which is engineered to deliver maximum results in minimum time: three 20-minute sessions a week are recommended. The program runs a full diagnostic of your mental game skills with a comprehensive assessment test. It then rates and compares graphically your mental game skills to golfers what have the same handicap. It also customizes the right golf mental coaching program to matches your needs. To help maintain your progress, Pro Mental Coach tracks and evaluates every training session and adapts the difficulty level of the training exercises in real-time. Pro Mental Coach was selected by the PGA Center for Learning & Performance and provides professional training 24/7 with no appointment necessary. 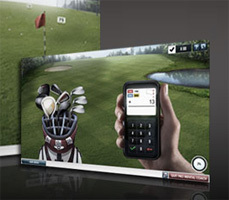 You can also use the Pro Login feature, which allows you to share your results with your PGA certified golf instructor. For more information or to order, visit the Pro Mental Coach website. It’s a great day for Tom Watson fans as Tom Watson – Lessons of a Lifetime is now available on Video On Demand through multiple cable and satellite TV providers. The instructional program, previously released on DVD, is the ultimate Watson experience and covers all facets of the game—from the grip to full shots, to chipping, putting and the secret of his timeless swing, plus specialty shots including those required in strong wind conditions. 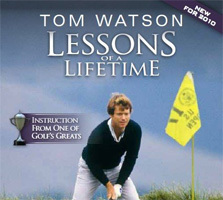 Tom Watson – Lessons of a Lifetime costs $7 for a 48-hour rental and is available via Time Warner, Cox, InDemand PPV, DirecTV, Echostar, Cablevision, Verizon, TVN, Charter and AT&T. The DVD version of this compilation sold over 10,000 copies in the first six weeks of release. “When I was 6 years old, my father, Ray Watson, cut down a hickory-shafted 5-iron, then proceeded to teach me the grip, and how to hook and slice the ball—all the basic fundamentals of the game. It’s all this knowledge I’ve accumulated that I’d like to share with golfers in ‘Lessons of a Lifetime,’ ” said Watson. Golf improvement takes on virtually all forms, whether you’re working with a golf professional, reading a book or magazine, or using one of the thousands of golf training aids. One segment of the golf improvement market that has become quite popular recently has been biofeedback. 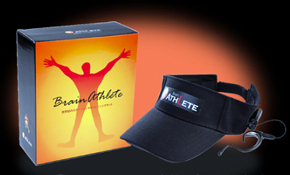 One Japanese company has recently launched a new brainwave athletic trainer called the BrainAthlete. It is a biofeedback device, especially tailored to athletes, that tracks concentration levels to help the athlete find the optimal level for each activity. The device is integrated in a standard golf visor, with three non-invasive contact points in the headband that monitor EEG activity. NeuroSky has been working with the USA Olympic Archery team for over four years, but the concept of “mental training” goes back much further. “When it comes to expert level players or athletes, the difference between win or lose, gold or silver is often the athlete’s mind”, says Dr. Lee, NeuroSky’s CTO and one of the company founders. The potential of this technology and device to help other athletes – amateur or professional level – is huge. According to the National Golf Foundation, there are 28.8 million American golfers. Acknowledged as a mental game by many, golf is the ideal sport to introduce the neuro-feedback technology because it can help golfers improve on their skills. As a professor of psychology at Arizona State University, Dr. Debra Crews has been studying golfers’ brainwaves for a decade. She sees a correlation between mental state and performance accuracy. Her challenge has been the lack of portability in bringing medical EEG to the golf course. “EEG will be a factor in golf coaching and other sports where mental acuity influences outcomes.” Dr. Crews would historically record EEG data and return to her office on campus later to conduct analysis. The device will communicate with a PC and cost around $500 when it hits the US in the first quarter of 2011. If it’s good enough for some of the top PGA Tour players in the world, it may be good enough for the rest of us. That’s a good philosophy with regard to the new instructional DVD from red hot coach Sean Foley. Foley’s five pillars of life experience, philosophy, physics, bio mechanics and geometry define his approach to golf instruction. He is a combination of evidence and facts and his approach to the golf swing has made him the most sought after teacher in the world by players such as Justin Rose, Sean O’Hair and Tiger Woods. The Next Generation DVD is a holistic approach that encourages golfers to examine, evaluate and execute their golf swings from the NEXT face in golf instruction. Sean O’Hair, Hunter Mahan, Tiger Woods, Justin Rose, Stephen Ames all have one thing in common. The ability to get immediate, real-time help from the hottest golf coach in the world. Sean Foley offers lessons, drills, advice in a dynamic and engaging manner. Whether you are a scratch handicap or a beginner, the Next Generation Instructional DVD is the perfect blueprint to a more connected swing, approach and understanding of the game of golf. Phil Mickelson’s DVD “Secrets of the Short Game” wasn’t the first short game video series and it won’t be the last. But it just might be the best production that can truly change your game and improve your technique around the greens immediately. Yes, I’m a long time Dave Pelz fan and so is Phil. However, the quality and quantity of tips, technique and tricks in this two DVD set is worth its weight in gold. In fact, it’s often surprising at not only the content, but the candor Mickelson has while teaching and demonstrating the various shots in front of the camera. His personality and confidence shines through brightly in this DVD series which was produced and directed by Terry Jastrow, a seven-time Emmy award winner whose credits include Producer/Director of six previous Olympic Opening Ceremonies, Super Bowl XIX, 68 Golf Majors and events ranging from an Indianapolis 500 and Kentucky Derby. The first “Secrets of the Short Game” disc focuses on putting and chipping while the second disc includes a flop shot section, bunker play and specialty shots such as buried lies and longer bumker shots. Phil’s putting approach can be at times analytical, but almost always makes simple sense. One of the main suggestions that I took away from this section was the Jackie Burke 25/75 concept. Burke suggests that your backswing swing should be 25 percent and your swing through the ball should be 75 percent. This should allow you to hit the ball aggressively while accelerating through the shot and creating a smooth rhythm. The chipping section is quite blunt – there is only one effective way to chip. In fact, Phil is quite honest in saying anyone who doesn’t subscribe to this theory is nuts. Here Mickleson teaches to break your wrist immediately when going back on a chip, then hold on and accelerate toward the hole. After watching him demonstrate this simple technique, it’s hard to imagine why you would want to do anything else. Another highlight of the series is Phil’s precise explanation of his famous flop shot. The amateur golfer might actually be a bit frightened from trying this type of shot after learning about how much thought and preparation Phil puts in even before attempting such a shot. But this knowledge is priceless and Mickelson’s in-depth explanation of matching the shot with the lie can only help golfers of all experience levels. Can Phil Mickelson’s “Secrets of the Short Game” help your game? Yes, most definitely. In fact, you’ll be hard pressed to find more quality golf short game instruction content packed into a more entertaining and easy to watch format. Phil Mickelson’s “Secrets of the Short Game” retails for $49.95 and is available from Golfsmith. GolfAid.com is world's largest and best resource for golf training aids, golf performance aids, golf practice gear and golf improvement online.